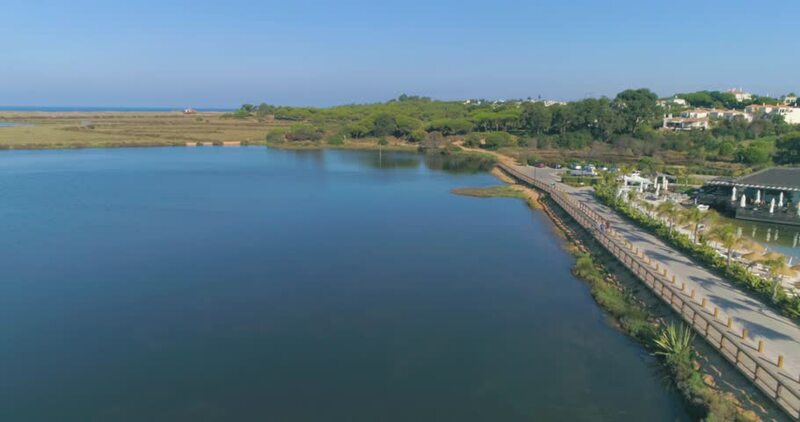 Aerial seascape, in Ria Formosa wetlands natural park, panorama over Quinta do Lago, Algarve. Portugal. 4k00:08Drone footage of the southern part of Fish Island, Kampot, Cambodia. The camera is starting over the sea going towards small green trees growing along the shore while descending.